February--Yes that's our grand daughter! My, they sure grow up fast. 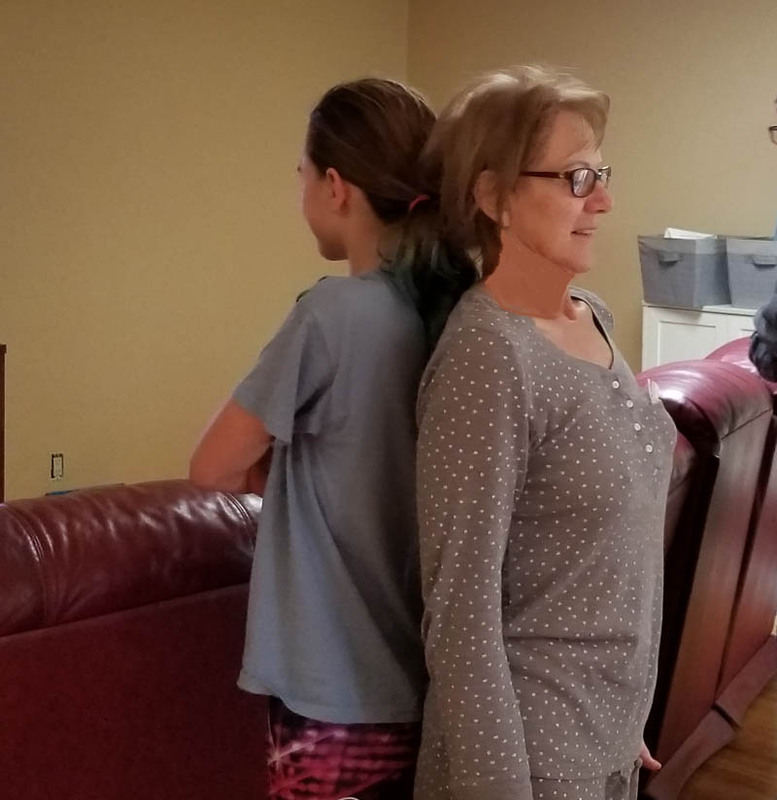 And, at 12, Dakota is already as tall as Grandma Glorine. In addition to our traditional birthday visit (Hunter turned eight), February included a trip to Palm Springs to visit Claudia and Lou, a three-day trip to the coast and other Mexican highlights with cousins Jerry and Mary from Seattle, Glorine spending time organizing the third Annual Career Day for the Lake Chapala Society (March 15), and travel planning for a ten week--six country tour of South America, beginning on the first day of Spring. 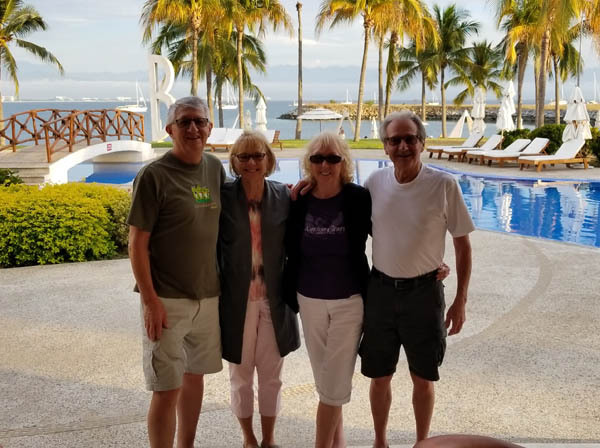 We began the month with a three-day get away in Bucerias, with a great view of Puerto Vallarta and all the yachts moored along the shore of our all-inclusive resort. 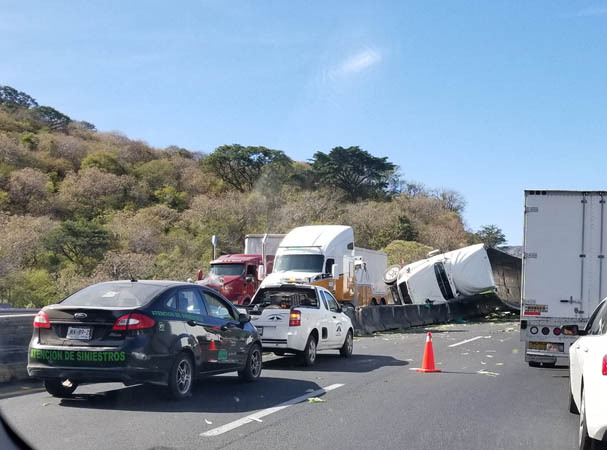 The ride over to the coast was planned for just under five hours, but this roll-over on the toll road cost us an extra hour and a half. Anyone want any corn???? 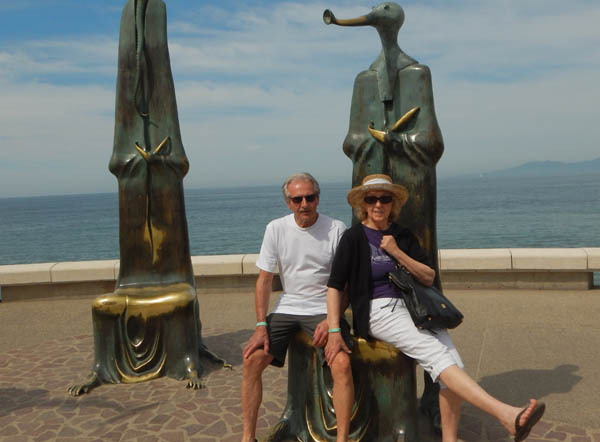 Along our stroll on the historic mile-long Malecon in Puerto Vallarta, we got treated to wide sidewalks filled with lots of statues, outdoor restaurants, pubs and lots of gift shops and an ocean view. The sand sculptures were awesome, both big and colorful. 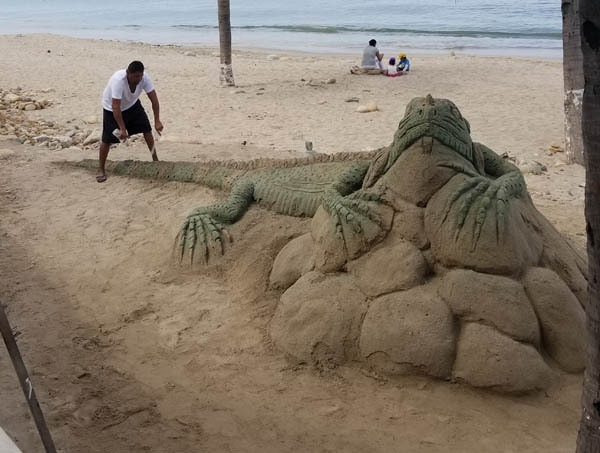 This guy was putting the final touches on this giant iguana and all for tips. 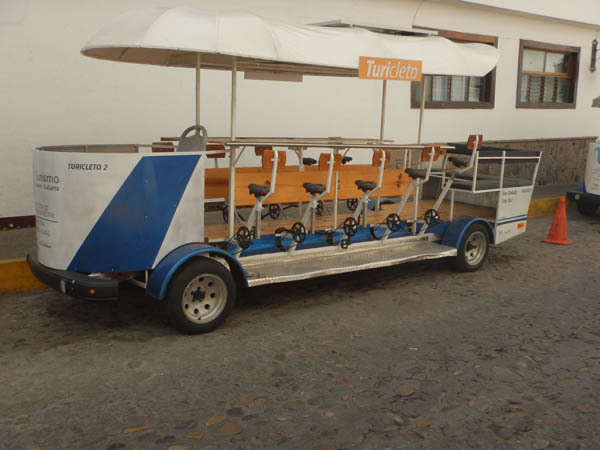 We didn't see anyone using this "tour bus" but it look intriguing. 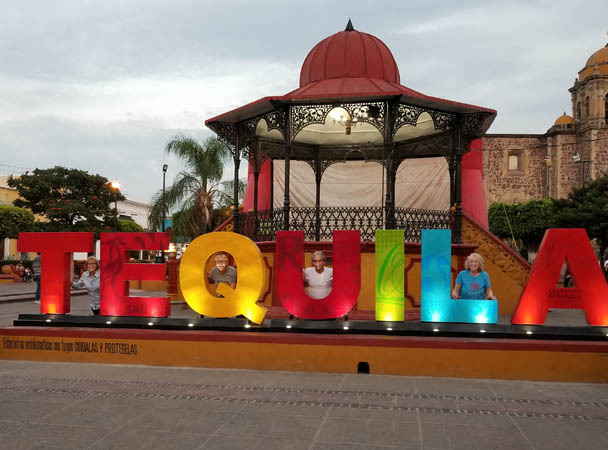 We spent a night in Tequila, which sports this new sign in the town plaza, where we all posed for the picture. 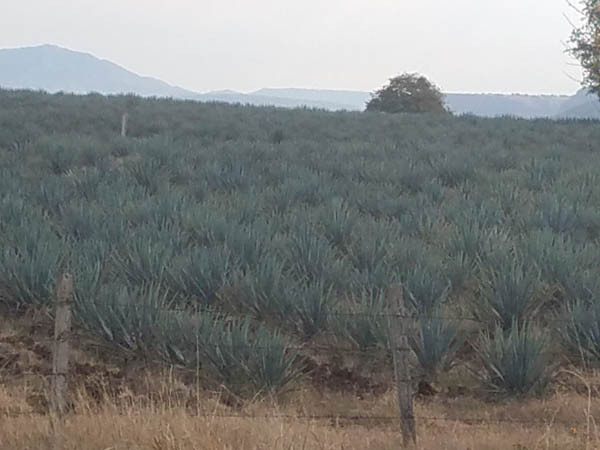 These fields of blue agave fill the country side and yes, they are still picked by hand. It takes 7-11 years for them to mature. We learned the older ones are use for more premium tequilas. 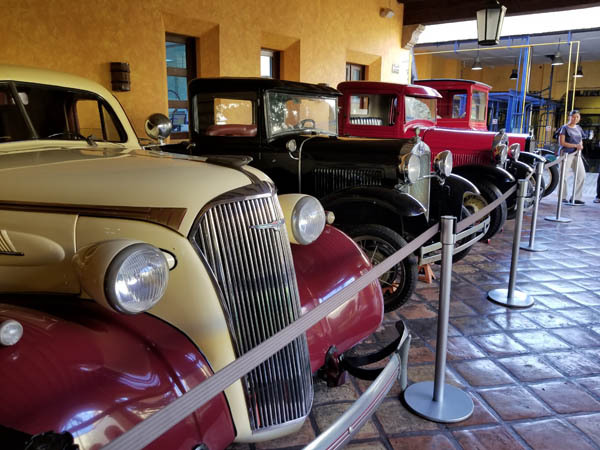 We toured the Jose Cuervo Distillery, founded in 1758, making it the oldest producer of tequila in the world. It is still family owned and has 35 percent of the world's market share. Note the prohibition era cars. 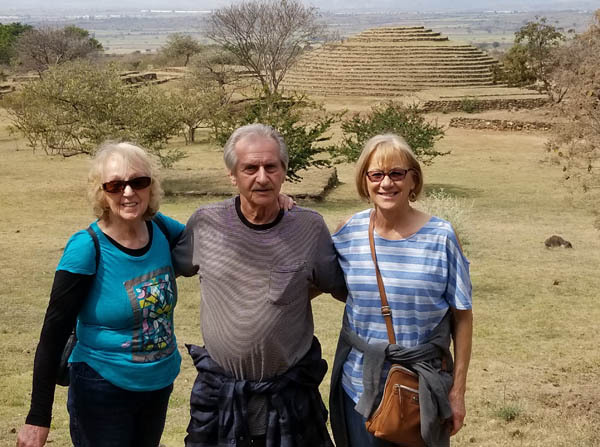 We stopped at the Guachimontones pyramids located two hours from Ajijic. The information center told the story of the Teuchitian civilization beginning in 300 BC and abandoned about 900 AD, (more or less!). The circular stepped pyramid in the background were used for spiritual rituals, with homes built in the outer perimeter. 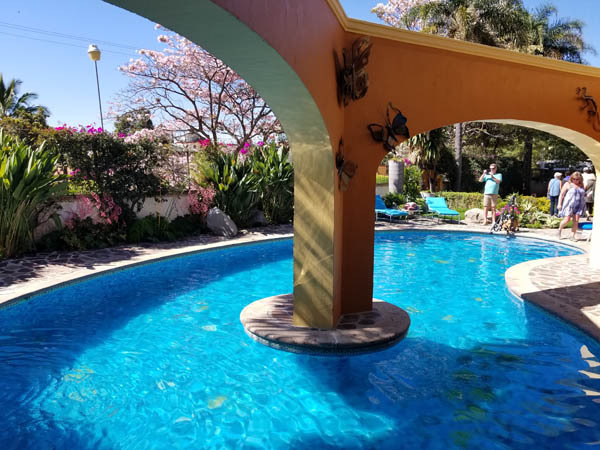 From here, we returned to Ajijic, said farewell to our guests and spent ten days in California. 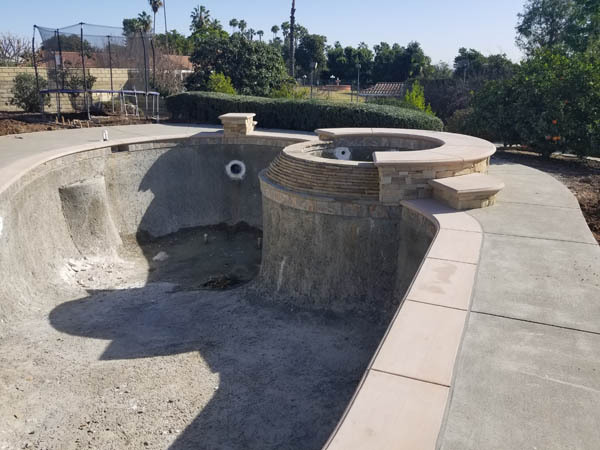 When we left California in October, this pool was on the drawing board and it is now nearly ready for Hunter's birthday party. 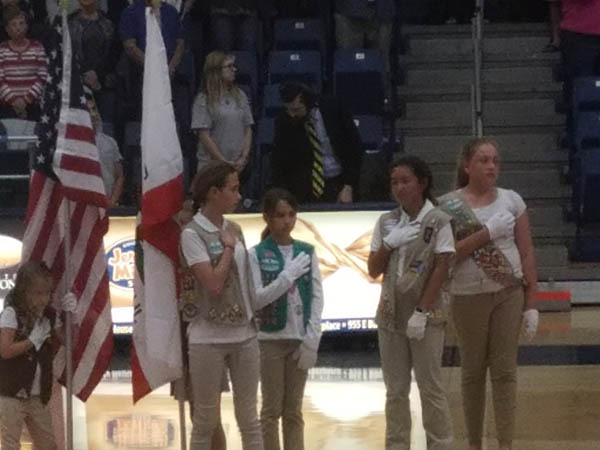 The girl scout troops that Dakota and Sierra belong to were part of the flag ceremony at a women's basketball game at California State University-Fullerton. Five days and counting until Hunter's birthday. 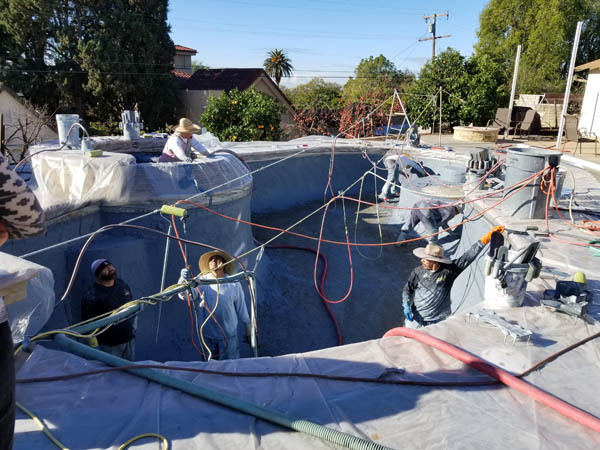 On this day, there must have been a dozen workers texturizing the pool and hot tub. And what an awesome job they did. 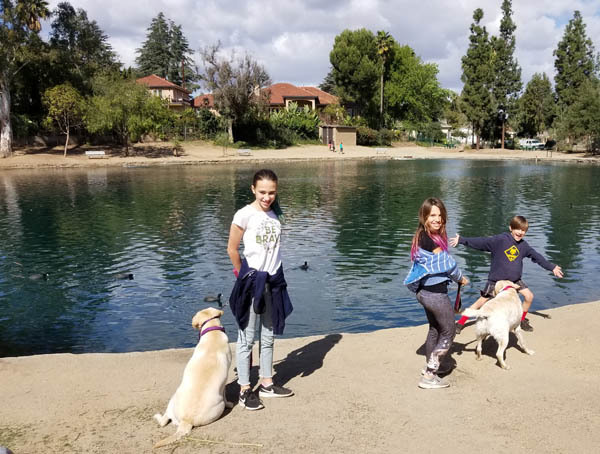 Meanwhile, we found another body of water to spend time with the kids. The only one that went swimming was Penny and she went after a duck, but she soon learned that they can also fly. 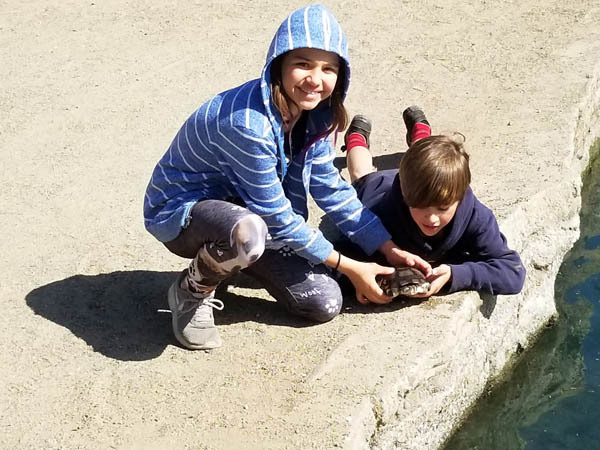 Hunter and Sierra spotted this turtle in the lake. Somehow, they convinced it to come near enough for them to pick it up and play with it. 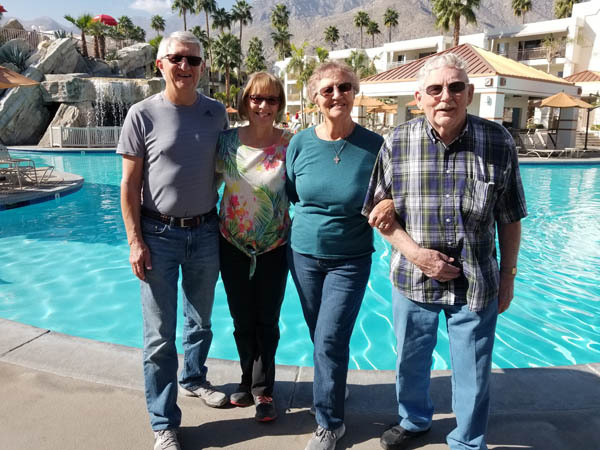 Next stop was this cool time share in Palm Springs to visit Larry's sister Claudia and Lou. It is midway between Fullerton and their winter home in Arizona. Along with hot tubing, we visited a local casino, played lots of cards and got to do lots of reminiscing. 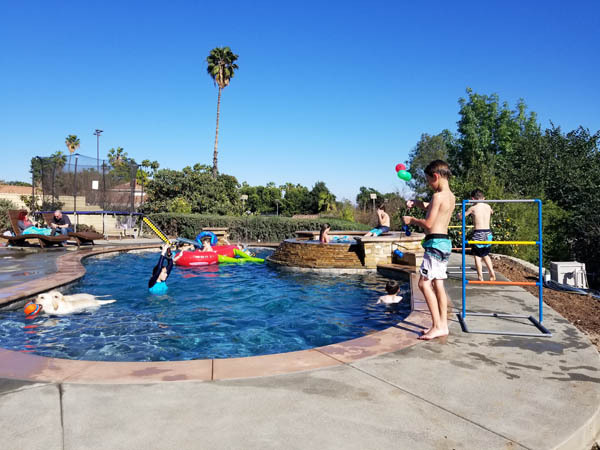 By the time we got home, the pool was filled and the hot tub being prepped for use that evening. 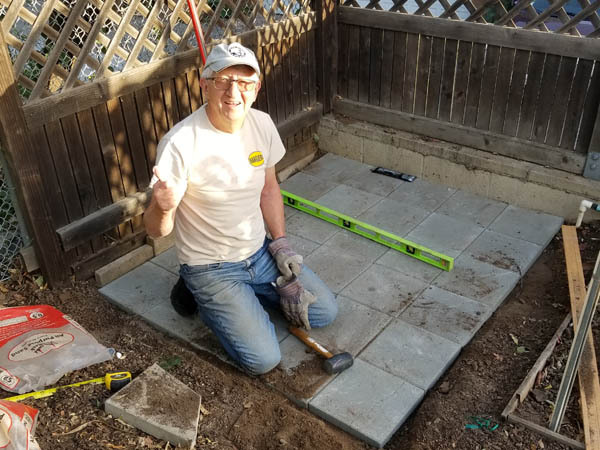 By the time Larry was done leveling and installing 30 concrete blocks, he was really ready for the hot top. 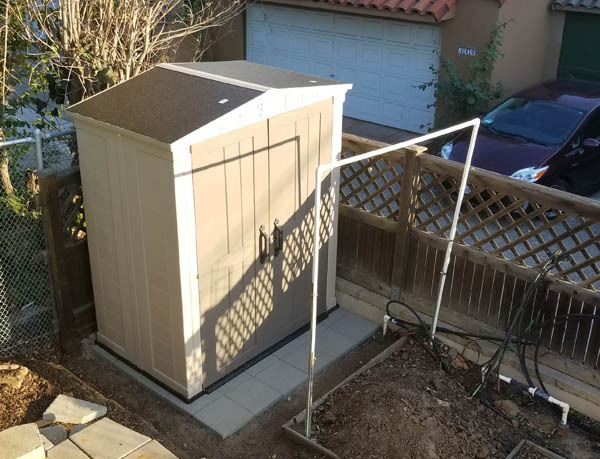 Once Mike and Larry got started on this garden tool shed, it snapped in place in no time. 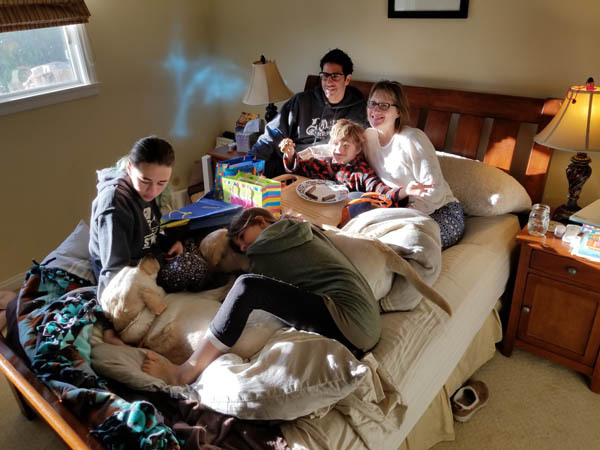 Birthday traditions (breakfast in bed) are cool and this one includes the whole family, including the dogs. 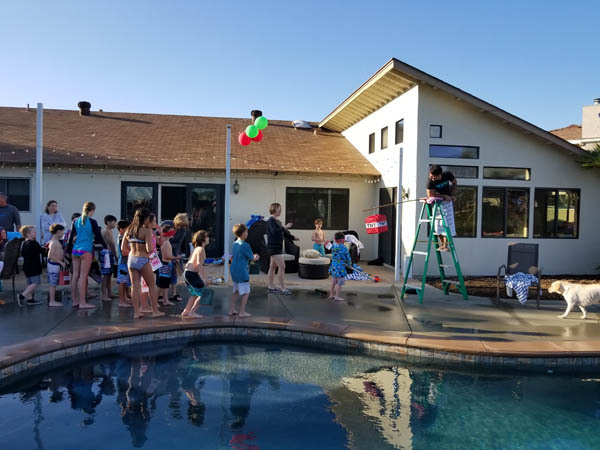 This will be a new tradition--pool birthday parties. 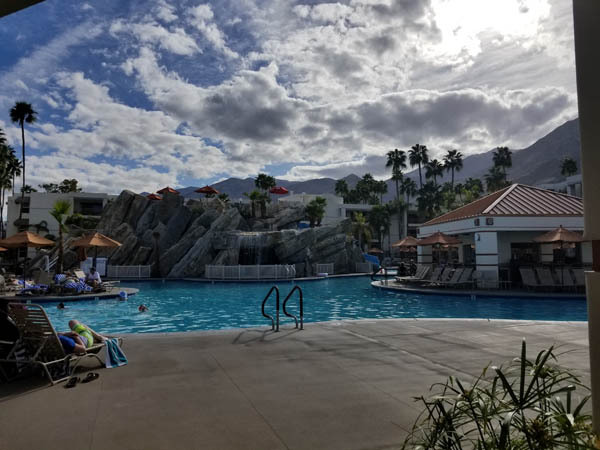 The water was over 80 degrees and the hot tub was 98. Note the dogs were in there also. 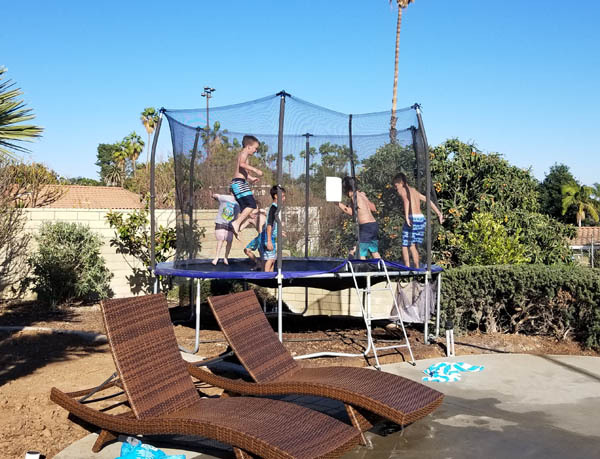 The kids took turns jumping in the trampoline and swimming in the pool. 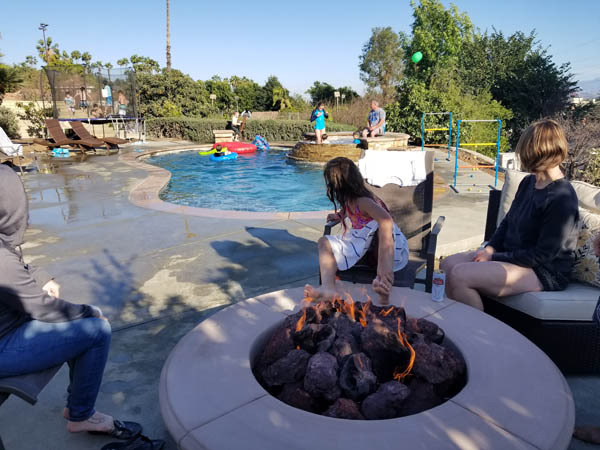 Some of us sat around the new fire pit enjoying all the action. Piñata time, birthday cake and opening the presents were the final touches to another wonderful birthday party. The next day, we flew back to Ajijic. 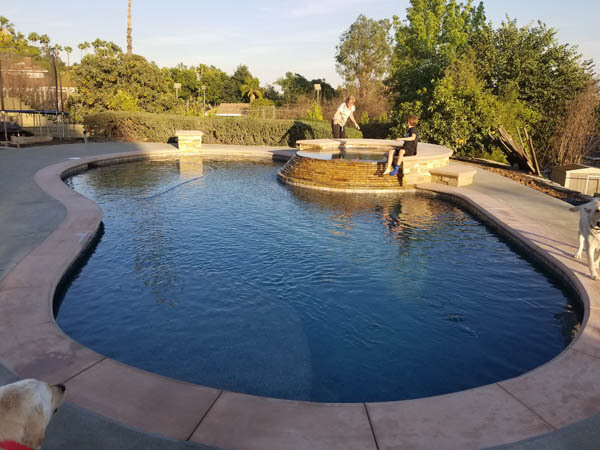 Larry volunteers to drive for the "Behind the Walls Home Tours" and got to see this pool tied nicely into the owners' patio. 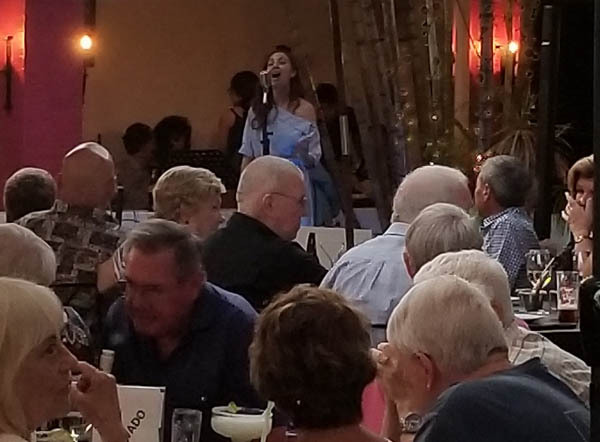 "Don't Cry for me Argentina" was one of the songs that captivated us during Mariana's monthly performance in Ajijic. Argentina, Chili, Brazil, Uruguay, Peru and Ecuador, are the countries where we will be spending most of this spring. 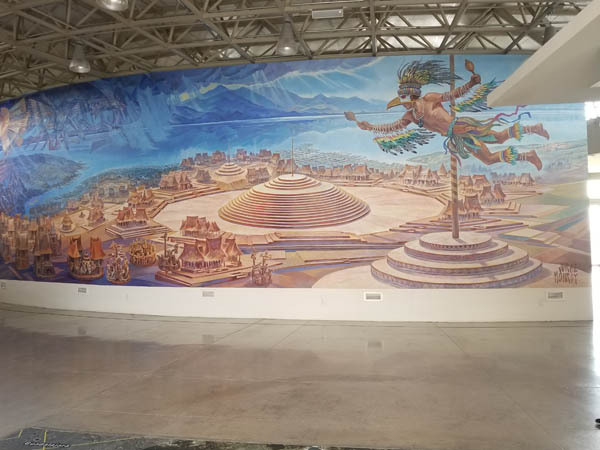 Ajijic is home to Mexico's National Chili Cook-off, which started in 1978. 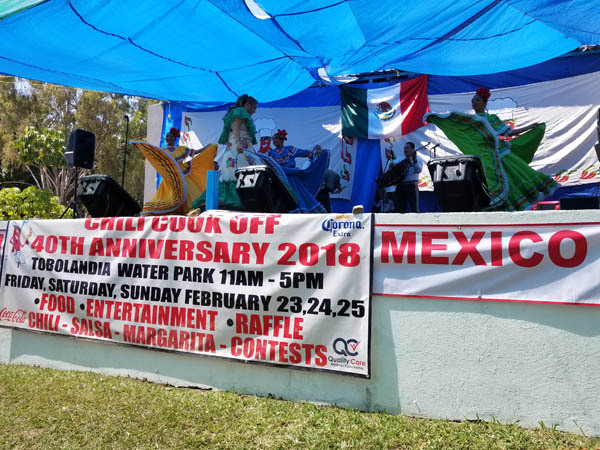 The three-day festival included live entertainment (like these Folkloric Dancers), an art exhibition, food and beverage venders, venders of ever kind and the signature Chili Cook-off along with a Margarita tasting competition. 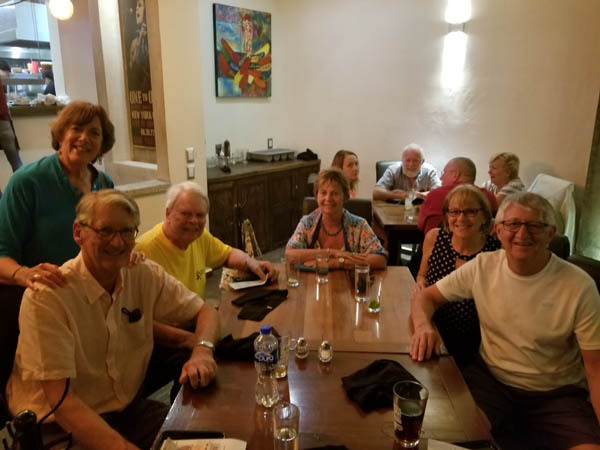 We joined friends Rick and Sandy for a round of Hand and Foot. We play house rules and they owned the house so, it was exciting to learn a new way that this game can be played. From there we enjoyed a great meal at Alex's Pasta, and discussed upcoming travel plans. 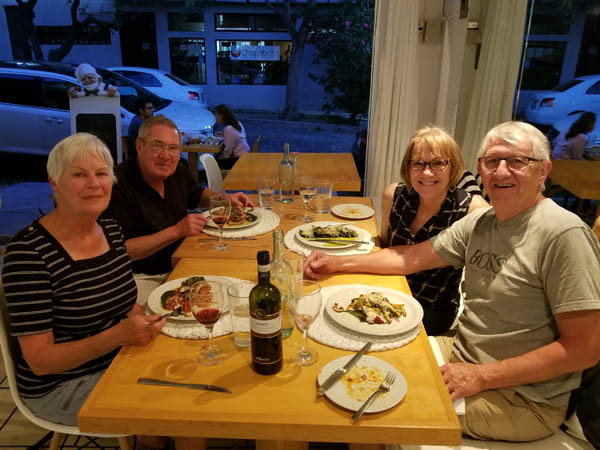 Friends Gary, Kay, Peter and Sybilla were our special guests at this Monday Night Adelita's. We had them over to our new casa for cocktails and appetizers. By the time we got to Adelita's, we were so full that we stuck with more cocktails and appetizers.